My Music Band is simple, clean and easy to use Free Music WordPress theme, which has been specially designed for the musicians and music bands to promote their music. The theme is deeply engaging and attractive, powerful and unique, stylish and flexible; a perfect solution for music related websites. It mainly focuses on creating an elegant personal website for the musicians in only a matter of times. 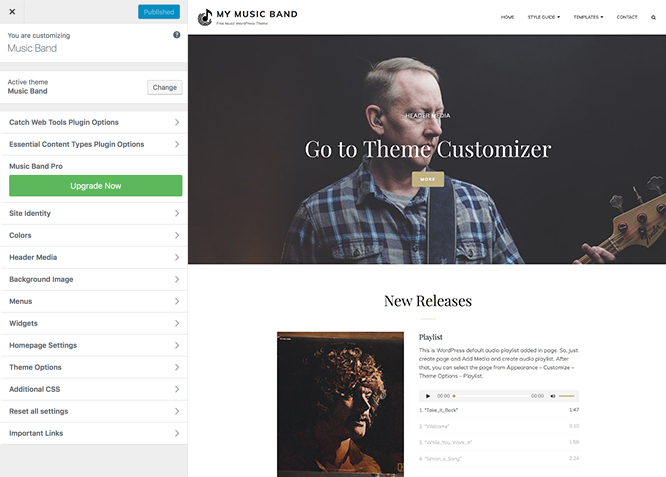 Music Band, a music WordPress theme is fully responsive and resizes fittingly to all devices. Your visitors can access your website regardless of the device or screen sizes they prefer to use. This theme comes with an array of crucial features—such as featured slider, featured content, playlist, hero content, portfolio, and more — to keep your music website on the forefront. With all the incredible features integrated into My Music Band, your website will surely provide a musical vibe to your audiences making it more engaging and visually aesthetic. 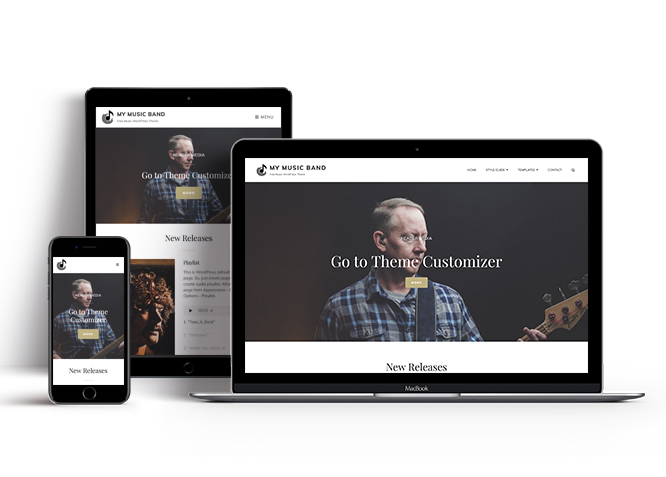 So, if you like music in any way, you need to check out My Music Band WordPress Theme. 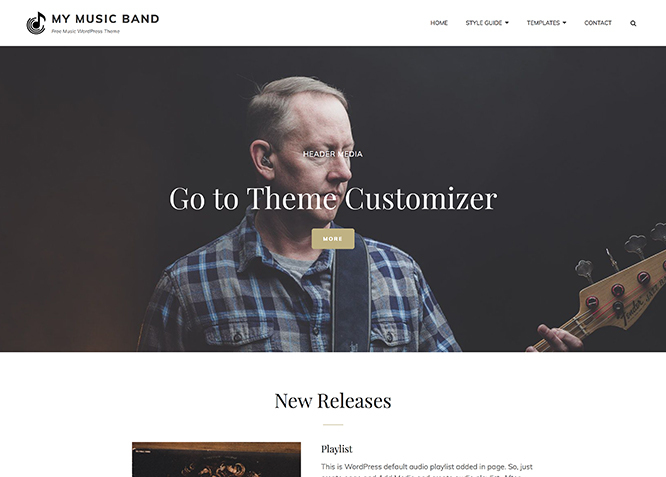 For more features, do check out My Music Band Pro WordPress Theme theme. Music Band offers exciting Menu Options! This theme supports and recommends using "Custom Menus". You can create Custom Menu through "Appearance => Menus" from your WordPress Dashboard. Music Band currently has 4 widgetized (Sidebar) areas thay are: Sidebar, Footer One, Footer Two, Footer Three, Footer Four. Go to "Appearance => Widgets" or "Appearance => Customize => Widgets" in WordPress. Music Band supports Newsletter via Essential Widget plugin. Activate the plugin and you will find "EW: Newsletter" in available widget list, drag the widget and place it on Newsletter widget area.